The Forecast Says HOTTER Temperatures, So Cool off At Home! The Weather Channel just released it's predictions for the summer months across the US, and they are predicting Chicago to experience "much above average" temperatures this year! Chicago will experience a "La Niña" summer which "feature hotter temperatures from the central U.S. into the Northeast, with the hottest month being July" . That means it's going to be one hot summer in Chicago! So what does this mean for you and your family? Outdoor activities will need to center on finding a place where you and your kids can have fun, but also stay cool. Some ideas are water parks, public pools, and lakes. And while we have an abundance of these options in the Chicagoland area, there's always the hassle of getting the family ready for these places. Not to mention, water parks can have long lines, public pools are crowded, and lakes can be dirty. American Sale has always been the believer of "bringing the fun home" and we have the BEST products for your family to do just that...and keep cool! One option for staying cool at home is investing in your own private pool this summer! Above-ground and In-ground pools may sound like a lot to consider, but they have become increasingly easy to maintain with DIY maintenance tools and products. And having a private pool retreat in your own backyard is a great way to beat the summer heat! Many people wonder about pool safety. However, the American Academy of Pediatrics have stated that children who have access to consistent practice with swimming have less chances of drowning. We also encourage (and sell!) fence and gate systems with alarms if small children are using the pool. And we always encourage a parent or adult to be supervising while children are in or near the pool. We have a pool package for any budget and special financing to help! It's never been easier to pick a pool and get it installed. 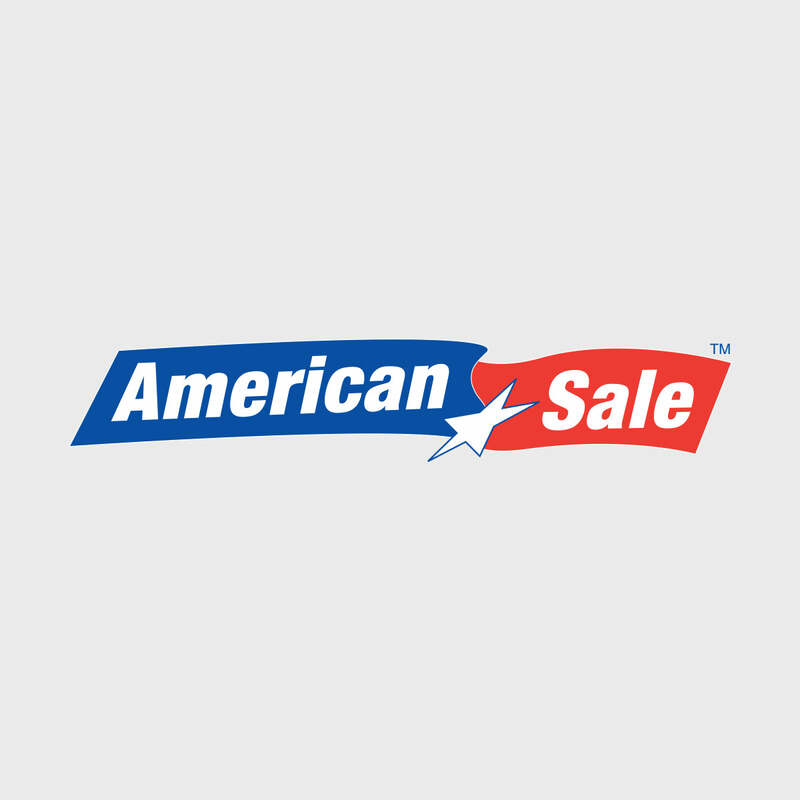 American Sale has always been a full-service store. Unlike many other retailers and online dealers, our experts help you pick which pool is right for you, your family and your yard. We schedule the delivery and installation, and also become your after-purchase service and maintenance experts. Our stores are equipped with free water testing. So if you have any issues with treating your water, we can test it and help correct it. Our primary focus is making sure your pool is not only fun, but ultimately safe for your family! Another great way to have fun outside with the kids is having their own place to play! Wooden Swing Sets are a great way to create a safe and fun environment in your backyard. Our Backyard Adventures sets are the "World's Safest Play Set" and they come in many varieties of styles and sizes. There's a play set for any size backyard! And on a hot summer day, a sprinkler or a hose can turn any ordinary slide into a super soaked water slide! * Just set it up and watch the kids slide and/or swing into water fun! One other fun trick with a sprinkler is with our Springfree Trampolines! Just place a sprinkler under the trampoline and let the kids splash and jump in the water! * It's so fun you might just have to join the kiddos! It's a fun way to stay cool in the comfort of your own backyard! If you don't know about these amazing trampolines, they are the "World's Safest Trampoline" with their specially engineered non-spring design and coveted safety enclosures. Your child will have a blast and you will have the peace of mind knowing they are in a safe place to play! And of course, what would a backyard retreat be if the adults didn't have a place to relax and have fun! Whether you have a patio or a deck, we have the best brands in patio furniture and the latest in styles. From wicker to cast-aluminum, we have sets starting from 2 piece bistro sets to larger chat and seating groups! Unwind, relax and enjoy the comfort of a living room outside on these warmer nights! A glass of wine or tea are all you need to add to making your outdoor space the best retreat this summer! And maybe a few friends too! Whatever you do to stay cool this summer, we wish you the best and safest summer for you and your family! And if you want to "bring the fun home" this year, you know where to go! See you soon! *Note: All water play activities mentioned in this blog article should only be performed with adult supervision. Water can make any play surface slippery and we do not condone children engaging in any water based activity without an adult present.